When you enable 3D in your project, you can move and rotate your drawings within the 3D space. Once you rotate a 2D layer in 3D, you may receive a No Entry cursor, preventing you from drawing on that particular layer. This is because the layer is no longer perpendicular to the Stage view. 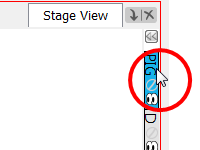 When this happens, you can use the Look At Selected option to automatically align the view, so the selected layer becomes perpendicular to the Stage view, allowing you to draw. 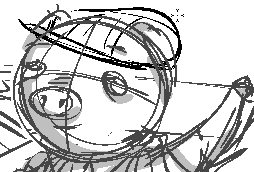 NOTE: Refer to Working in a 3D Space to learn more about storyboarding in 3D. In the Layers view, select a layer. In the status bar at the bottom of the Stage view, click the Look At Selected button. 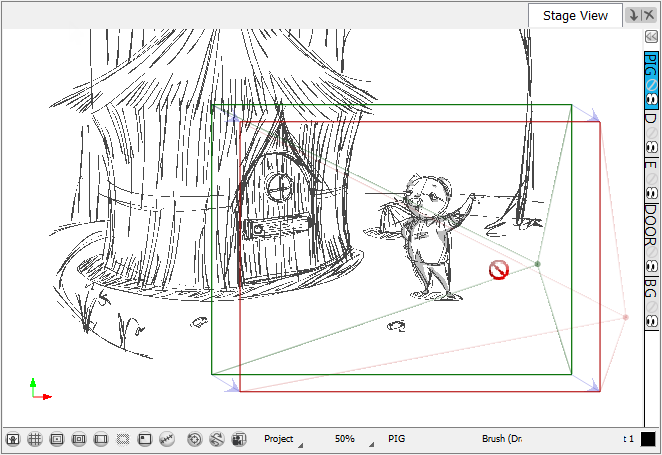 The drawing layer and Stage view automatically become perpendicular to one another, allowing you to draw.